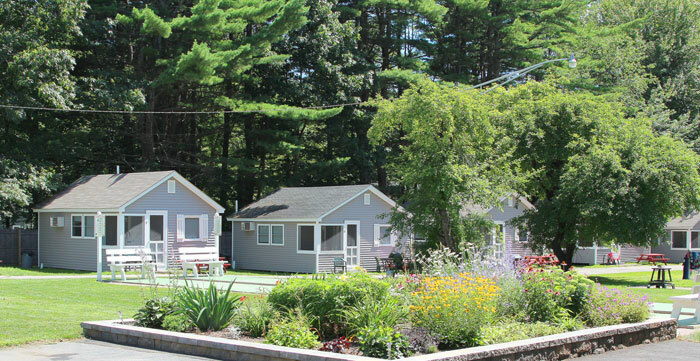 Elmwood Motor Court has been a favorite stop for Old Orchard Beach vacationers since 1952. We have many repeat customers, some of whom have been coming for over 35 years. Many came as children and today bring their own children. Our customers tell us we have a special and unique property. Quiet, spacious and beautiful, it’s the perfect setting for a couple desiring a private weekend getaway or a family seeking a safe, fun-filled spot for the entire family. Yet we’re only minutes away from Old Orchard's 7-mile beach, the famous Pier and family attractions. Customers can walk to the beach – it’s about a mile – or drive. There are many parking areas on and near the beach. But for those who would rather not drive, a trolley will bring customers from our property to downtown Old Orchard every half hour from 10:30 AM to midnight. We have two types of lodging to choose from. 2 Bedroom Motel Apartments and One or Two Bedroom Cottages. Numerous activities are available for all members of the family. We feature a large swimming pool, shuffleboard, volleyball, basketball, a children’s playground, recreation room with games, and plenty of space for football, Frisbee, or just plain relaxing. We have gas grills available and several outdoor fireplaces for those special evening campfires with family and friends. Free WiFi is available in all units. In the morning, complimentary coffee is available in the office. And if no one wants to cook, we are within easy walking distance of some of Old Orchard Beach’s best restaurants. Old Orchard Beach's seven-mile long stretch of wide sandy beach is understandably the major attraction. But when visiting Old Orchard Beach there is a full range of things available to see and do in and around the Old Orchard Beach area.